They Gave Thier Lives: The Bishop's Belief. 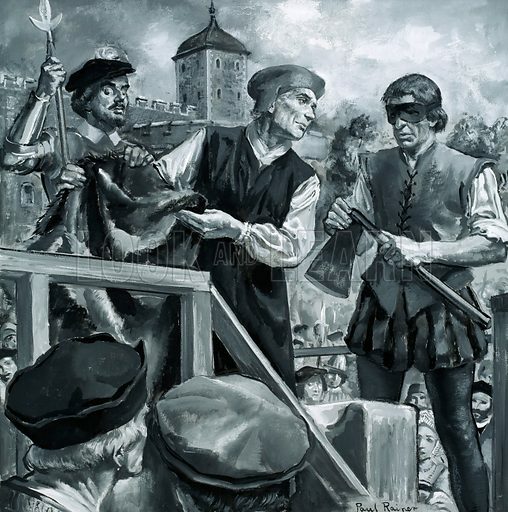 In 1534, John Fisher, Bishop of Rochester, was imprisoned in the Tower of London for angering Henry VIII, refusing to state that his marriage to Catherine of Aragon was illegal. He was beheaded in 1535. Original artwork from Look and Learn no. 470 (16 January 1971). Available worldwide for immediate download up to 3,986 x 4,014 pixels.